Jeff Jarvis: We have plenty of privacy advocates. I want to be a publicness advocate. 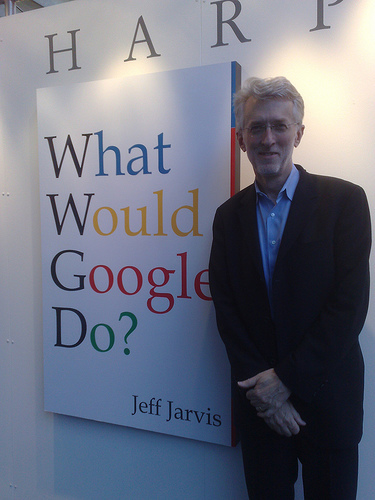 Jeff Jarvis (Who wrote What Would Google Do?) have a new book called: Public Parts (soon will be published). The book is about the end of privacy and the benefits of publicness. In Public Parts, Jarwis will argue (http://www.buzzmachine.com/) that in our current privacy mania we are not talking enough about the value of publicness.